Med start torsdag 2 augusti inleder vi vår gemensamma turné med College Fall från Melbourne Australien. Tillsammans kommer vi att ge hela 19 konserter. Turnén är ett samarbete med Australiska Nya Zeeländska Vänskapsföreningen samt Studiefrämjandet. Sverige, Danmark och Frankrike väntar… Vi ses! 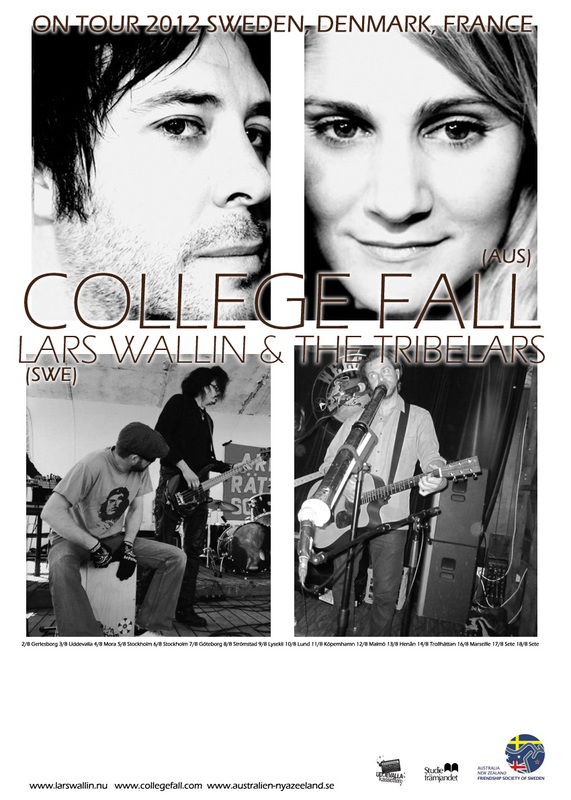 we are thrilled to announce that college fall are performing alongside sweden’s folk punk didge king lars wallin, this august, throughout sweden, denmark and france. it’s our first international tour since 2009 and boy we have really missed you all! this time we will finally win our scandinavian grand slam, taking in some extra shows in finland and our first ever trip to norway. we will also be celebrating the european release of our sophomore album the curse of us, which will be available at all shows.